Instead of the tie, there is nothing there, and of course there is no sound in that part. In this simple example I can easily drag the line and fix the problem, but when I have a long piece, with many ties, it can get really tiresome. Is there any way I can fix this? Also, is the problem generated from Guitar Pro, when the file is created, or is there something wrong with the way Bitwig loads the file? The only way that I found to solve this is to export the file to .gp5 file extension and open it in guitar pro 5, then export midi from there. If you don't wanna wait, until Arobas Music fixed that, try the following in the meantime: Export a MusicXML file from Guitar Pro. 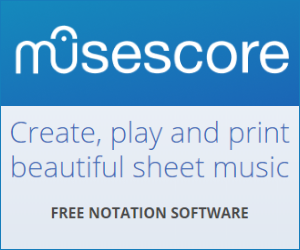 Install MuseScore (free), open file there and try to export a MIDI file from MuseScore. MIDI doesn't deal with ties, clefs, articulation symbols, any of that stuff. Ties are a part of written music notation. MIDI is a digital interface for communicating with musical instruments, whereas musical notation is for communicating to human musicians. Does your guitar have a "tie" button? In your screenshot you have two written notes that are tied together, but they are used for describing a single sounding note. Most probably the issue should be corrected on the exporting program's side. pick some other midi viewer than bitwig and see if it has the same problem. if so, guitar pro is at fault. if not, bitwig is at fault. i'd suspect guitar pro off the top of my head. they probably have a much better support forum anyway. then go to whichever forum (which probably would have been a good idea to do in the first place) and pray that they'll prioritize your fix. Not the answer you're looking for? Browse other questions tagged software midi daw guitar-pro bitwig or ask your own question. In Apple Logic 9, what are “GM Device” tracks? Can I change the tempo midsong in Bitwig?